It looks as though our predictions about China are starting to unfold into reality. 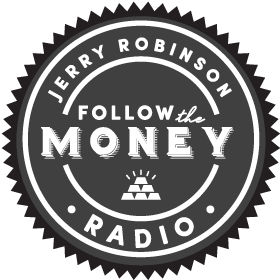 Several months ago on our radio show, FTMWeekly, Jerry Robinson commented on a news story about China. The story touched on the fact that China may be coming to Europe's rescue financially. Jerry discussed China and how they could potentially bailout Europe and use liquidated U.S. Treasuries to do it. In other words, in this scenario, China would cash out of U.S. debt instruments and use the cash to bailout the European nations that are in financial crisis. Now, to be clear, this has not happened yet, but there are definitely some rumblings in the news that show clear signs of it. For example, a Financial Times news story published on Monday talks about trades in China that show a shift away from the dollar and into European debt. China began diversifying away from the US dollar in earnest in the first four months of this year, most likely by buying far more European government debt than US dollar assets, according to estimates from Standard Chartered Bank. China’s foreign exchange reserves expanded by around $200bn in the first four months of the year, with three-quarters of the new inflow invested abroad in non-US dollar assets, the bank estimated. Even though we are hearing stories about China shifting away from the dollar, the exporting giant still remains the largest foreign owner of U.S. securities. China currently holds approximately $1.6 trillion in U.S. securities, according to the US Treasury reports. Therefore, we see China in the very early stages of dropping the dollar, namely slowing down purchases of U.S. debt securities and gradually shifting to other foreign reserves. 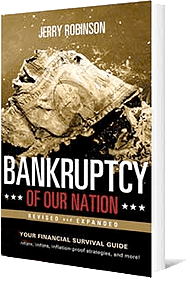 China's move in its foreign holdings means that as the U.S. Federal Government continues on its path of out-of-control spending, the Federal Reserve will become more and more responsible for purchasing the debt needed to fund Washington's spending sprees. As the Fed speeds up the printing presses, inflation will be a major concern in the coming months and years. Speaking of inflation in the United States, a Wall Street Journal article in today's paper says that prices of imported goods (namely from China) are creeping up, rising 8 percent over the past two years (excluding oil prices). Many American imports, such as shoes, clothing, auto parts, and more are arriving at our nation's door at a much higher price than we saw just a few years ago in the "golden years" of cheap Chinese goods. Now, these goods are costing U.S. sellers more to import, therefore contributing to inflationary pressure in the midst of an already tumultuous U.S. economy. Add to all of these factors the price of cotton, which has surged about 48% over the past year, and the outlook is bleak for rising inflation in the coming months and years. A headline out of Houston, TX today says that CNOOC (a state-owned Chinese energy giant) is in the final stages of purchasing a multibillion-dollar stake in a Texas oil and gas field. The deal would give China shared ownership in Chesapeake Energy assets in south Texas, a 600,000-acre oil and gas field that has potential to produce half a million barrels of oil equivalent per day. The Texas deal would be a sort of litmus test for China to determine the viability of further expansion into U.S. energy reserves. It also presents them with an opportunity to learn how to tap into oil located in dense shale rock formations. The deal is being met with much hospitality in the U.S., as natural gas prices are low and drillers are suffering from a lack of cash. Here at FTMDaily.com, we are working hard to create solutions for you during these difficult times of economic crisis. We invite your feedback and comments on how we may serve you better. Feel free to contact us at info@ftmdaily.com. 1. MARKET WATCH: U.S. stocks rose on Tuesday as worries eased further about any immediate debt default by Greece, extending the market's recent bounceback. After nearing its 200-day moving average Monday, the S&P 500 rebounded solidly above the level. Analysts saw 1,360 as the next technical level on the upside. The Nasdaq reclaimed positive territory for the year and led the market's advance, boosted by a jump in semiconductor stocks. 2. U.S. HOUSING CRISIS: Fewer people bought previously occupied homes in May, lowering sales to their weakest point of the year. Home sales sank 3.8 percent last month to a seasonally adjusted annual rate of 4.81 million homes, the National Association of Realtors said Tuesday. That's far below the roughly 6 million annual sales rate typical in healthy housing markets. 3. S&P DOWNGRADE? : The risk of a downgrade to the credit rating of the United States has increased due to a lack of political consensus on how to employ the country's balance sheet flexibility, Standard and Poors' said on Tuesday. 4. BRAZIL BUYING SPREE: Surging real estate prices in Brazil and the currency’s 45 percent gain against the U.S. dollar since 2008 are sending Brazilians to South Florida in search of bargain vacation homes and property investments. That’s helping bolster Miami’s condo market, with total sales increasing 92 percent in the first four months of 2011 from a year earlier, according to data from the Florida Association of Realtors. 5. SLAP ON THE HAND: JPMorgan Chase & Co. (JPM), the only Wall Street bank to remain profitable throughout the financial crisis, agreed to pay $153.6 million to resolve U.S. regulatory claims over its role in designing and selling a product linked to risky mortgages as the housing market unraveled in 2007. Jennifer Robinson is the National Director of the Christian Financial Advisor Network and is a Managing Editor of the FTMQuarterly Newsletter. She is a business owner, writer, and holds her Master's degree in Finance.